The third-generation 2016 Ford Focus RS arrived with a bang at the 2015 Geneva Motor Show, as the first RS to feature all-wheel-drive, torque vectoring, and a Mustang-sourced engine. Now, Ford has unveiled the Focus RS Forza Motorsport Edition, a hot-hatch featuring an exterior designed by players of the Forza Motorsport racing game. Though its name suggests a special-edition series, the Forza Motorsport Edition is actually a one-off model showcased at a special Microsoft event ahead of the 2015 Gamescom in Cologne, Germany. 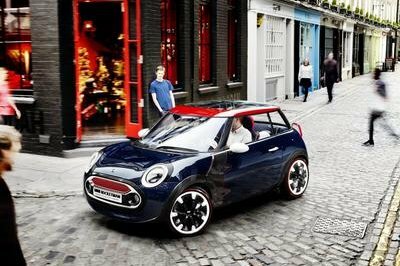 The unique hot-hatch was introduced by The Stig from BBC’s Top Gear, who will also be featured in the new Forza Motorsport 6. The new Focus RS is one of the many Fords to be featured in Forza Motorsport 6. Others include the 2016 Ford GT, 2016 Ford Shelby GT350 Mustang and 2017 Ford F-150 Raptor. "In Forza Motorsport 6, racing and gaming enthusiasts all over the world will be the first to experience Ford’s new ultra-high-performance supercar, the Ford GT,” said Dan Greenawalt, creative director at Turn 10 Studios. "In Cologne we’re excited to showcase the real all-new Focus RS clad in a special paint scheme created by the Forza community. During Gamescom, gamers will also get to see the Forza Motorsport 6 cover-car Ford GT in person," he added. 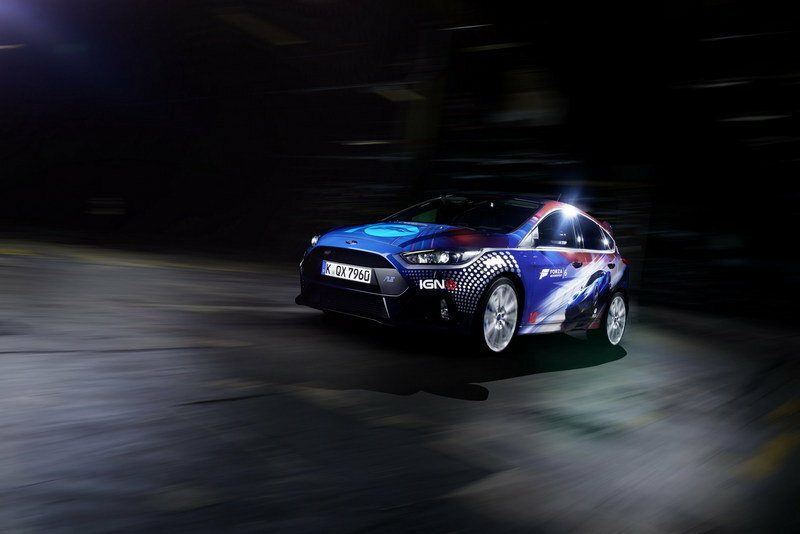 Continue reading to learn more about the Ford Focus RS Forza Motorsport Edition. Not surprisingly, the Forza Motorsport Edition is identical to the standard Focus RS as far as shape and exterior features go. 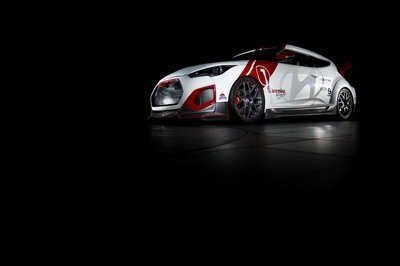 The aggressive body kit, which includes race-inspired bumpers, new side skirts, a revised front grille, and a large tailgate wing, as well as the lightweight wheels and the RS badges are all there. 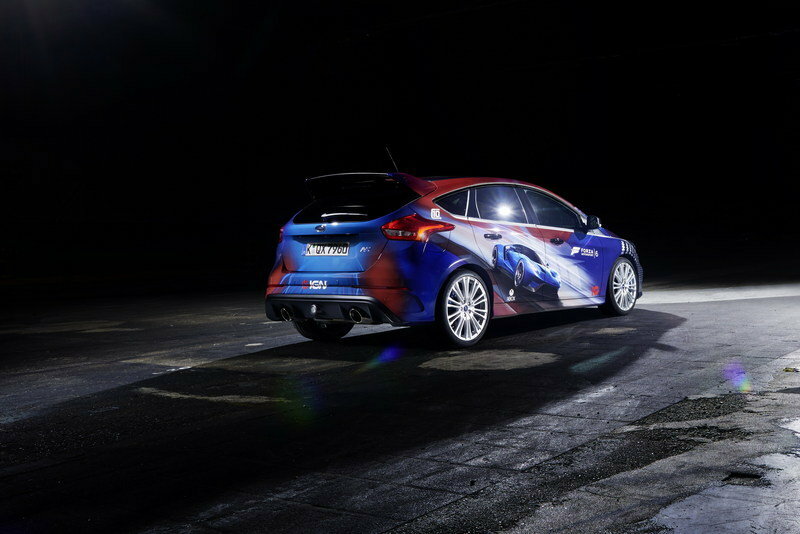 However, there’s the special livery that helps this hot-hatch stand out in a pack of RS models. It’s looking like we’ll get a fresh taste of Alpine performance. 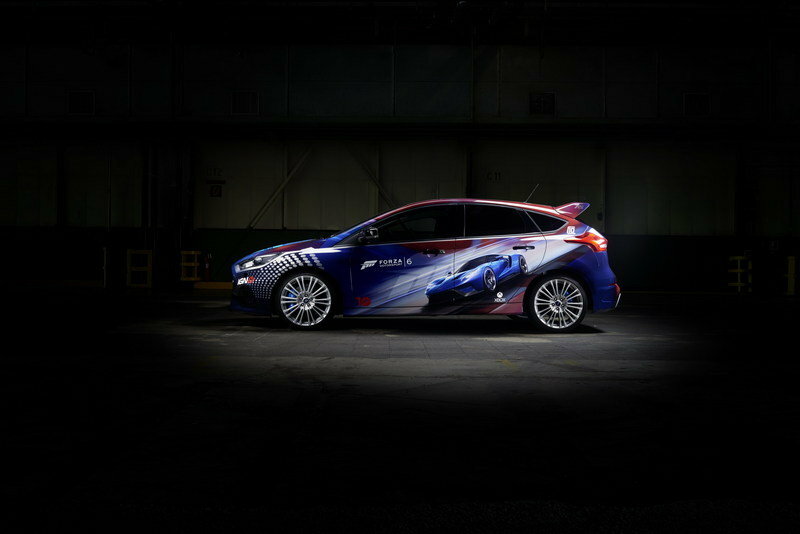 The wrap combines a dynamic graphic design with some of Ford’s traditional colors. Blue is the dominant color here, represented by various hues, but white and dark red are present too, especially on the sides and the roof. Each of the rear doors feature a representation of the new Ford GT. This is not just a random choice, as the supercar is depicted on the cover of Forza 6 Motorsport, which is the first video game to feature it. Naturally, the car is packed with "Forza Motorsport 6," "XBox," "Turn 10," and "IGN" logos and decals, which makes the it look like a rally car, especially with the white rims in place. All told, the Forza Motorsport Edition looks like the kind of car Ken Block might use in the next installment of the Gymkhana series. 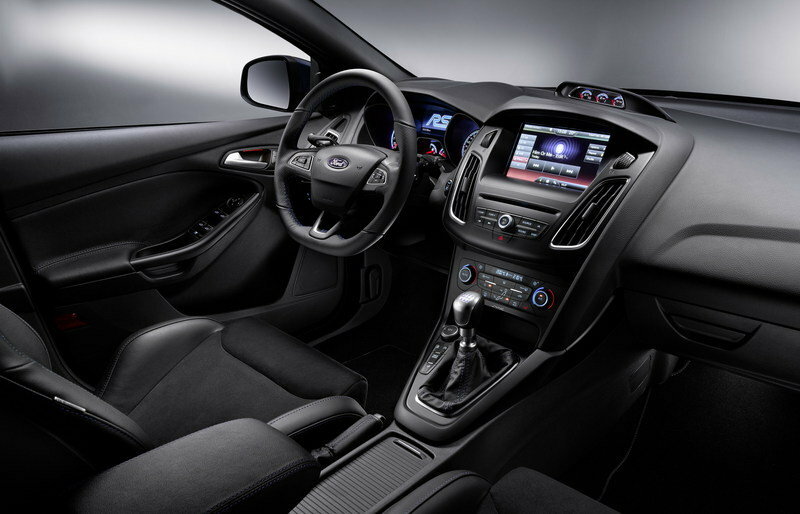 Note: standard 2016 Ford Focus RS interior shown. Given there are no photos or details of the hatch’s interior, it’s safe to assume everything is standard Focus RS stuff. Though a rally-spec rollcage would go nicely with the livery, it wouldn’t make much of a difference for Forza 6 gamers flogging their cars while sitting on the couch. 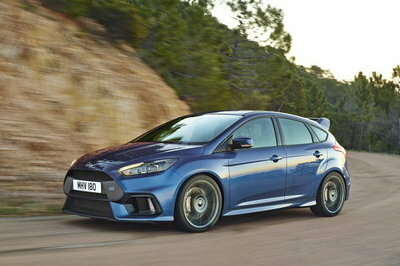 But that’s not to say the Focus RS has a boring cabin. The hot-hatch is actually packed with racing-like features, including a flat-bottomed steering wheel, Recaro sports seats, alloy sports pedals, and an additional instrument cluster sitting on top of the center console. Additionally, European and Asian customers have access to a pair of RS Recaro shell seats covered in microfiber fabric. What lurks beneath the Focus RS’ hood is also somewhat irrelevant to gamers, but the hatch’s drivetrain is way too cool to skip this section. The Forza Motorsport Edition comes with the same turbocharged, 2.3-liter, EcoBoost four-cylinder sourced from the 2015 Ford Mustang and tuned to deliver an impressive 345 horsepower and 324 pound-feet of torque. Max torque arrives between 2,000 and 4,500 rpm, while an overboost function delivers up to 347 pound-feet for 15 seconds at a time. The big news here is that, unlike its predecessor, the new Focus RS comes with an all-wheel-drive system that can send up to 70 percent of the available torque to the rear axle. 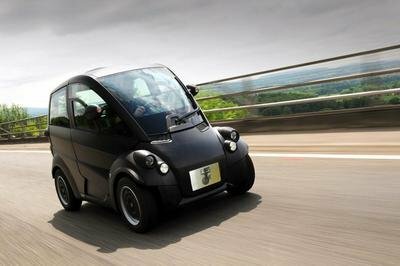 Quite impressive for car built on a front-wheel-drive platform. Also, up to 100 percent of the torque that reaches the rear axles can be sent to either rear wheel for controlled-oversteer drift ability. Just a standard Focus RS with a custom livery, the Forza Motorsport Edition isn’t that much of a big deal. 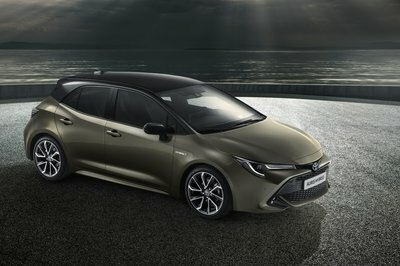 However, it’s campaigns like these and video games such as Forza Motorsport 6 that help create more hype around a vehicle, especially when the car in question has yet to arrive in dealerships. 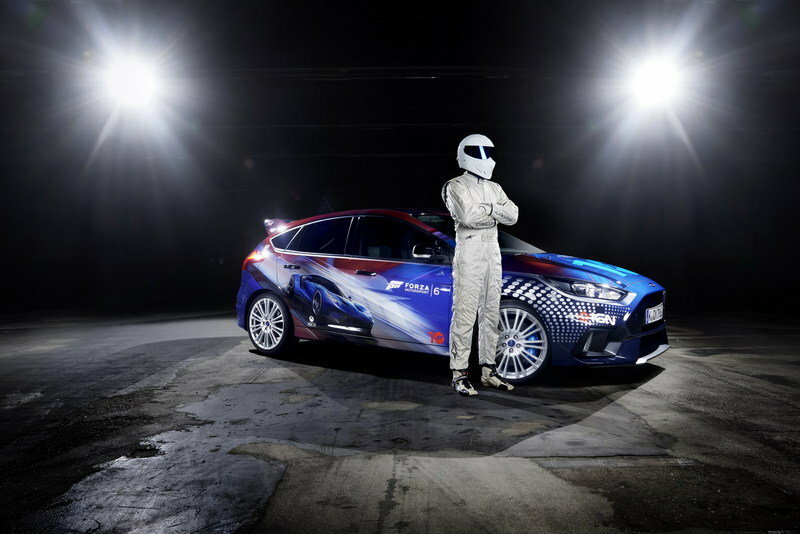 But I still think Ford should’ve hired Ken Block instead of The Stig for this. A unique all-new Ford Focus RS featuring an exterior designed by players of Forza Motorsport for Xbox was unveiled today at a special Microsoft event, ahead of the international 2015 Gamescom event in Cologne.